With the rollout of its own credit card, Apple just redefined what's right and what's wrong in the financial services business and is making a consumer-friendly stand. Apple’s big Showtime announcement on Monday offered several items that may be of interest to developers and decision-makers in the enterprise space, but Apple Card may be the most interesting of the lot. Here’s why I think that. Apple revealed an extension of several services. Not only did it become a TV channel dedicated to publishing intelligent cutting-edge content that puts humans first, but it announced plans to launch subscription gaming, news and TV services. It also announced an original take on an innovative credit card (delivered with Goldman Sachs). You can read more about these announcements almost anywhere, here (from Apple), here (from Apple Must) or at MacSurfer.com. While most reports tended to focus on the plethora of consumer services, I’m focusing on Apple’s take on credit cards. 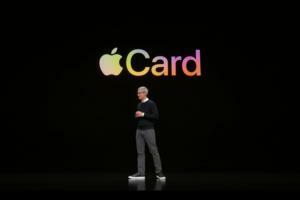 Apple unveiled a new credit card at its Showtime event. Generous rewards: Deterministically targeted at one of the most valued spending segments in the world: Apple products, with a 3% cash back. Zero fees: In almost every case, low rates and a pleasing lack of ways to trick consumers out of cash, including clear statements. Sign up in the app, hear back immediately: Millennials will love this. So will everyone else. Money management tools: This may not seem immediately obvious, but by removing the pain points credit card users experience when trying to manage their accounts, Apple builds customer loyalty and improves the overall experience. Now, Apple’s isn’t the best cash-back offer, (apparently Citi, Barclay’s Uber Card and others are better), but the overall offer is a friction-free experience that puts consumers first. Put it this way. Anyone who spends money on Apple’s products and services is going to want to get hold of one of these cards, if only for the 3% cashback offer. After all, if you purchase movies, Macs and other Apple products, or subscribe to any service or app within the App Store, you’re going to want to grab a little of your cash back – and Apple’s deal gives you precisely that. If you happen to be an enterprise purchaser about to invest in 50 or so $2,000 Macs, that 3% shopping reward becomes a line item you will not want to ignore. It is, after all, one and a half free Macs. While it will make money on all these transactions, Apple is taking a stand against the kind of cynicism that has dominated financial services for eons: hidden charges, fees for small infractions, opaque statements, charges to access your own information and the sale of purchasing information to shadowy, third-party information brokers who end up doing, well, we don’t know what they do with our information. That Apple is taking such a stand sets a new bar for the industry. It’s a stand that argues for better consumer privacy, more consumer control and an emerging need for mutually trusting relationships with the financial technology firms we do business with. Some have noted that because the card is so integrated with Apple Pay, you need to be an iPhone user to maximize the benefits of the service. But is that really a problem, given that Apple’s iPhone user base includes so many wealthy people, as Needham & Co. noted last week? Apple isn’t just making a value-based offer to its customers, who include a big chunk of some of the world’s wealthiest people; it is also making a value-defined experience that challenges many existing business models in the space. While these items may not immediately resonate with consumers as much as Oprah Winfrey’s appearance at the Apple TV+ announcement, they still have significance. Because Apple just redefined what is right and what is wrong in the financial services business.